Hi – just a note to say our blogger has been on holiday but returns this week so look out for new posts on what’s been happening here at Roseparks soon. 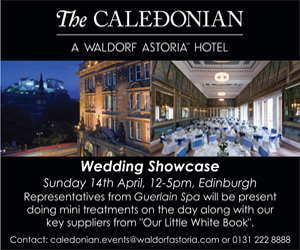 Celebrate your wedding in style at The Caledonian, A Waldorf Astoria Hotel, one of Edinburgh’s finest and most historic luxury venues. We’re delighted to also be on hand during the day to assist with any aspect of your wedding flowers. Images from a recent corporate event. Table Centres: Large goldfish bowls with a hand tie of orange roses and lime green bupleurum greenery. Check out the images from this ‘pop art’ themed event recently. Our brief was for tall vases with arrangements in hot pink, yellow and blue colours. The tops were created using dianthus. 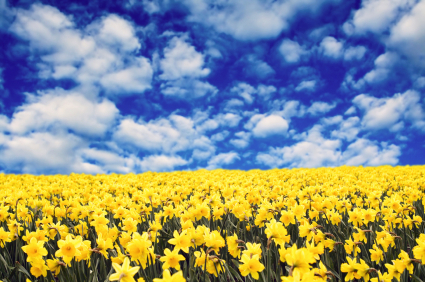 Stuck for a birthday present or just fancy trying something new, then why not come along to our Spring Workshop sessions held in the Royal Botanic Garden – our first session is next Wednesday 20th March. Book just one or come to all four. Booking is required and places are strictly limited so please book early. Cost: £42 per class, or book all four classes for £126 (1 class free). All materials & flowers, plants provided. Refreshments included. Cost: £42 per class, or book all four classes for £126 (1 class free). All materials & flowers, plants, bulbs provided. Refreshments included. Come along to East of Scotland’s largest wedding fair & fashion show and visit us at our regular stand 82 at the Edinburgh Corn Exchange Wedding Fair, see samples of our work and chat to our florists about any aspect of your wedding flowers. Planning your wedding? Meet over 130 exhibitors with goods/services ranging from stationery to cars (and of course flowers). Fashion Show: A great way to see the ECE venue and experience the latest ideas and fashions from the industry’s best wedding suppliers.